One of the earliest articles presented at 3PP was David Lynch - The Art of The Psyche. The multi-talented American director has been extremely influential to a generation of artists working across many media. One of my most memorable experiences was watching (a TV edit of) Blue Velvet at Age 12 - even heavily edited - what a ride! I was much too young to understand the nuances, and the shocking violence of the film did not resonate with me as much as the emotional jolts this movie caused. Lynch's films speak the language of fugue states, alter egos and nightmares. The delineations more obviously marked in earlier films become increasingly blurred as Inland Empire takes you on visual journey like no other. 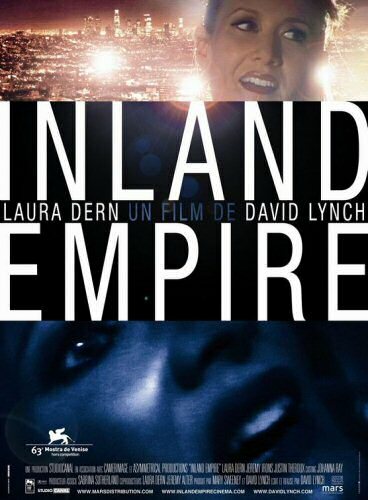 Inland Empire represented a turning point for David Lynch and his creative process. Fully embracing digital film making, the time consuming processes that accompany use of traditional film were significantly bypassed. Lynch has since said he is done with traditional film, much to the chagrin on Cinematographers worldwide. Lynch has also gone onto embrace multimedia content and has an active online presence with davidlynch.com and a quirky Twitter feed. An image from Inland Empire. 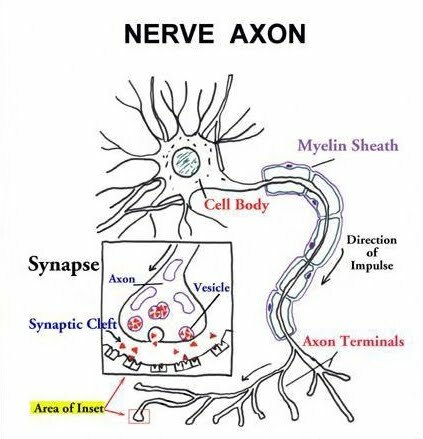 Students of neuroanatomy will instantly catch this reference to the segments of brain cells that transmit Neuro-electrical impulses, the Axon. In anatomy texts, nerves are also abbreviated as a solitary 'n'. Lynch's pre-occupation with electricity and its influnces on the human psyche are prevalent themes in many of his films. Inland Empire has been described in many ways: indecipherable, a mess, a masterpiece! My description for it is a "perpetual sensory nightmare." Its value as one of the most amazing pieces of modern film making is perhaps over stated in arthouse circles, but like the film's triumph at Venice Film Festival (Future Film Category), the accolades allow recognition of Lynch's innovative experimental spirit. Until then, enjoy these clips - both featuring the same track from the Inland Empire soundtrack. Ghost of Love was written and performed by David Lynch. It summates the ethereal quality of Lynch's entire body of work. The accompanying visuals from Inland Empire hint at the the nightmare that awaits. If you would like a hint at what the track is disturbingly about, after viewing the montage above, watch the contextual clip below.